For those amongst you who feel that Black Friday... Small Business Saturday... Cyber Monday... Capitalism in general... is not that weird, check out the updated 2017 Tek-Gnostics Product Catalog. We have added new products... and are featuring my new Book: The Tek-Gnostics Heresies - Tales of Wonder from the Collective Conscious. It is available in paperback and electronic editions. 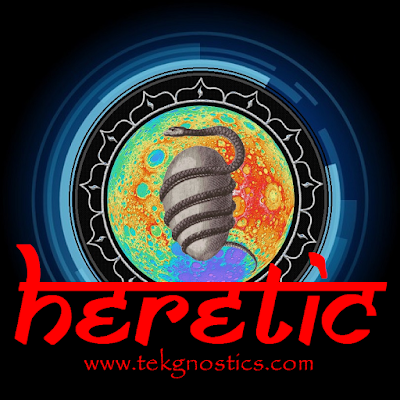 The Heresies is available at Amazon, etc... but purchasing directly from Tek-Gnostics is a great way to support the continuation of our flagship site: tekgnostics.com. All of the proceeds go to keeping our virtual vihāra fully operational. One updated product that I am excited about is the 2017 "Data Fetish" ... a wearable electronic storage device/necklace. 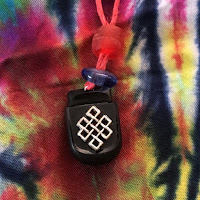 All of the forbidden, heretical material from the Tek-Gnostic's Invisible College has been downloaded onto this 4-gig micro flash drive charm. Our 'data fetish' includes all of the manuals, position papers, Libri & downloads from our members-only site, including videos, PDF files. Back-issues of Tekgnosis, our member's newsletter... plus bonus materials unique to this data storage device are all stored safely off-line, away from prying eyes. A lifetime subscription to our member's site is included with this fetish! This wearable data fetish comes strung on a rinpoche-red hemp necklace, festooned with imported African glass beads. Vodun meets cyberpunk! 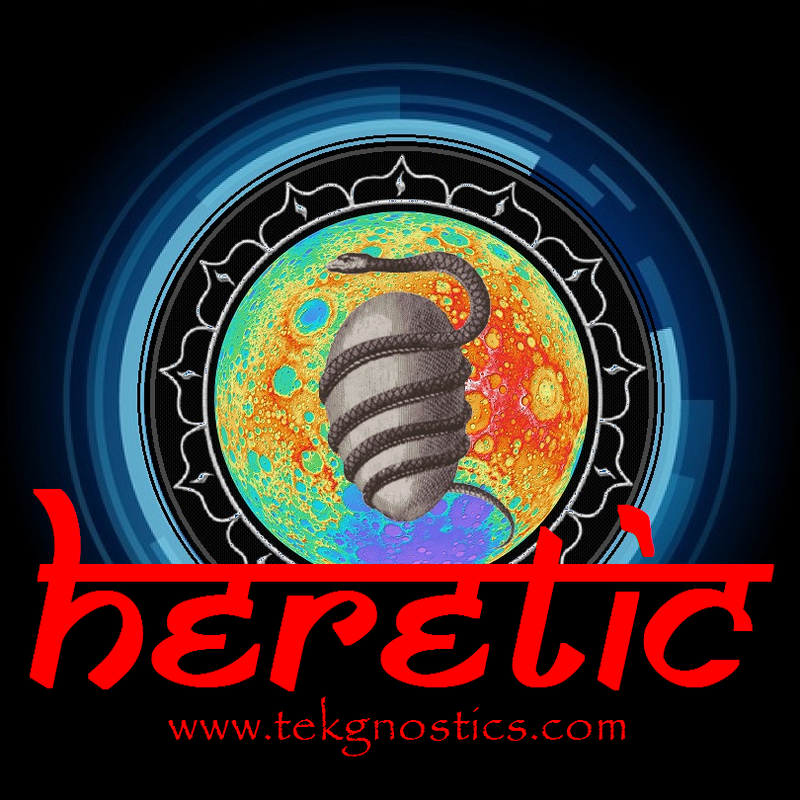 Also, check out the 2017 Tek-Gnostics "Heretic" Tee shirt design (pictured above). Wear your heresy proudly! We shall return to our regularly scheduled program of posts dealing with the obscure... the mysterious... the esoteric... the psychedelic, shortly... so until then, Think Different, but don't believe everything you think!